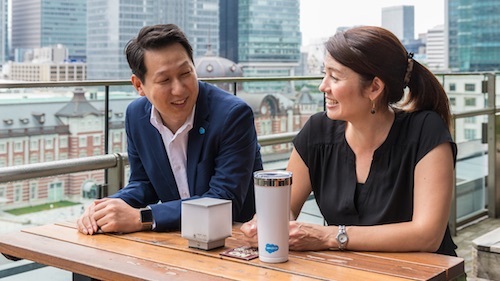 Over the past year, I had the opportunity of a lifetime: my team and I traveled the country, meeting small business leaders through our Salesforce Growth Camp conference series. Part of this included inviting female executives and entrepreneurs to special TrailblazeHER dinners. And through our casual conversations with them, we came to the bold conclusion that women today are stronger and more determined than ever. So, as we wind up National Women’s Small Business Month, we’d like to shine a spotlight on some of those amazing women we met who continue to inspire us daily, in hopes that they’ll inspire you too. Through Brazen Denver, Olivia Omega helps female entrepreneurs grow and scale their businesses to build stable, prosperous companies. Looking to create your own personal brand? Olivia wrote the book on that, too! And if helping women — including her teenage daughter — and running a company, the Wallace Marketing Group, doesn’t sound like enough to keep her busy, she’s also the Founder Track Chair for Denver Startup Week, the largest free entrepreneurial event of its kind. I met April Anderson in Detroit last September and was immediately drawn to her magnetic personality. As a part of Metro Detroit’s revitalization efforts, Anderson opened organic bakery Good Cakes and Bakes with her wife in 2013. Since then she’s baked for Oprah Winfrey, appeared on a panel with President Bill Clinton, and joined the James Beard Foundation’s Boot Camp for Policy and Change. Mover, shaker, baker, change maker — that’s April. In addition to being a serial entrepreneur, Kristina Tsipouras — aka, Busy Girl Boston — has a passion for helping other women succeed. Never sitting still for long, Kristina has several successful brands under her belt and has cultivated one of the largest female entrepreneurship groups in Boston, Boston Business Women, home to more than 17,000 active members. And on top of all that, she’s also the creator of what has become my favorite organic lip balm line. Kristen Womack is an outspoken advocate for inclusion in the Twin Cities as the co-founder of Hack the Gap, a startup that aims to close the diversity gap in technology “one hackathon at a time.” Kristen is passionate about helping others and connecting people, evident by the two other companies she founded: Hello Mom and Night Sky Web Co. She’s a can’t-stop-won’t-stop dynamo who also does an enviable job of juggling her vast work and family commitments. An entrepreneur, media personality, and technologist, Tiffanie Stanard is everywhere. There isn't a channel she doesn't leverage — Twitter, Instagram, TV, and more. Tiffanie founded Stimulus, a platform designed to create economic equality by connecting businesses to communities in need. Credited with changing the face of technology in Philadelphia, she also uses her skills to help others achieve success through OpenAccessPHL. Ready to get inspired? Sign up for the #StanardReport or tune into her Philly Speaks radio show. Angela Parsons is part of an all-female executive team at Xelerate, a company that does data-driven recruiting for companies looking for their next great hires. Parsons is a former Division I soccer player who recovered from a life-threatening accident and eventually became Miss Pennsylvania. Her perseverance is legendary. Today, she’s a leader who uses her fiery personality to help others succeed in sales — and in life. In her spare time, she volunteers with the Center for Grieving Children, an important cause that’s close to her heart given that her own mother died at a young age. Sherisse Hawkins, CEO of Pagedip, knows being a successful entrepreneur means looking at the world differently and daring to solve problems — even the biggest “I-won’t-accept-the-status-quo” problems. Her creativity knows no bounds; it’s no wonder she’s been on Shark Tank and was even once a Walt Disney Imagineer. Initially shy and reserved, Sherisse gave me one of my favorite tips: that you must ask in order to receive. As an entrepreneur, time is a limited resource. If you oftentimes find yourself offering a lot of your time to others, don’t forget to make the ask when you need help, too. Thanks, Sherisse! Emily Hyde is an accomplished sales leader at Advocate, using her unparalleled energy and enthusiasm to bring innovative technology to her clients. 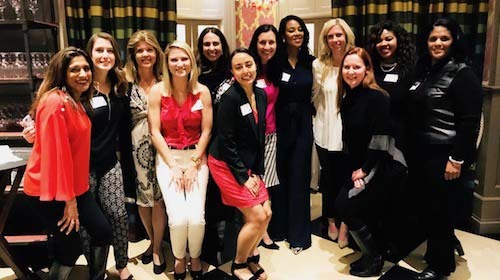 She has also grown through the ranks from President to Executive Advisory Board Co-Chair for Atlanta Technology Professionals, giving back to the technology ecosystem that helped foster her own success. Additionally, Emily is an acclaimed speaker and mentor. And despite her growing list of credentials, she remains as down-to-earth and easy-to-talk-to as they come. Pat Niekamp is the founder and publisher of Texas CEO Magazine. Her mission is to connect Texas businesses across industries in order to grow the Texas economy. She does this all with enviable ease by tapping into her decades of experience in the media industry. Known to her peers as ethical, kind, and wise, Pat is exactly the kind of person you want in your corner as you build and grow a business. She has a knack for finding valuable, worthwhile projects, always tackling them to the best of her ability. These are just a few of the amazing women that our team has met while traveling the country this year. I hope you are as inspired by their stories that we are. And, as National Women's Small Business month ends, please take a moment to celebrate the leaders in your network or town, and patronize their businesses. 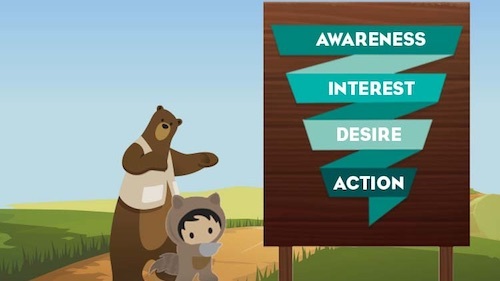 Salesforce can help you find customers, win their businesses, and keep them happy so you can grow your business faster than ever. 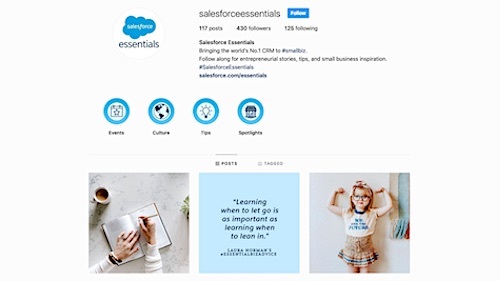 Follow @SalesforceSMB on Twitter to learn more about Salesforce Essentials, the easiest way to get started with CRM.